How did you all begin your journey as musicians? At the age of 9 I visited a boarding school for musical gifted children and learned the first steps in music theory, melody and trained my ears with discipline and several regular tests. Learning to play piano and sing in a choir as well as solo singing helped a lot to understand music. At the age of 16 I bought my first guitar and founded Obscura a few months after. How did all become a band and How did you all meet? Obscura was founded in 2002 and I am the only remaining founding member. 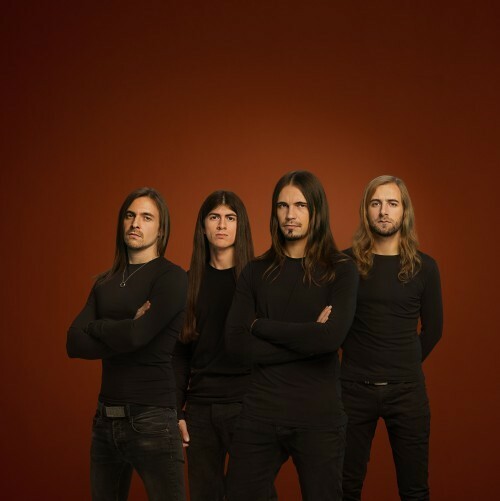 Linus Klausenitzer joined the band in 2011 to perform on all tours and shows of the record Omnivium while Sebastian Lanser joined the group in 2014 and Rafael Trujillo in 2016. How did the band get its name? And was Obscura the 1st name? The band’s name was inspired by the album “Obscura” of Gorguts, a very unique record by a unique band. The band was founded under the banner “Illegimitation” in 2002 while we changed the name in 2004 during the recordings for our debut album “Retribution”. Who created the artwork on the albums? Since 2008 we work with Orion Landau, an US American artist who created all artworks for the previous four records, as well as our demo collection “Illegimitation” and a re-release for our debut “Retribution”. What are some of the struggles you have overcome as a band over the years to get you where you all are today? We basically had every possible share of good and bad times you can imagine – but we re still here after 16 years releasing our fifth album and touring around the globe. Among the death of a musician, lineup changes and cancelled tours due to visa issues it took more than a decade to be able to make a living out of this music. What was the 1st venue you played as a band? Poschinger Villa in Landshut, the city where we founded the band. What were you all listening to as teenagers? All kinds of extreme music, starting with Megadeth, Metallica up to Emperor, Darkthrone, Atheist, Cynic, Death and Pestilence as well as Dissection. Have you ever played in Canada? Any upcoming plans to play Canada? For each of the last four records Obscura played a world tour with numerous shows around the globe. The first time we performed in Canada was 2009 supporting Cannibal Corpse when Cosmogenesis was released. Our tour dates for an extensive headlining run in the United States and Canada just got released a few weeks back. Supports are Beyond Creation, Archspire, Inferi and Exist – a killer package and one of the most extreme tours this year. How was touring with Sepultura & Goatwhore? Sepultura treated us very nice and have been respectful to all support bands and I can just say positive things about the band and their phenomenal crew alike. With Goatwhore we shared a night liner and had a good time on the road, perhaps we can tour together in the future again. Do you find the metal scene in other parts of the world different from Germany’s metal scene? Definitely. Each part in the world is different in certain ways. Comparing crowds, circumstances and venues between Asia, South America, North America or Europe shows you how different each culture can be. At the same time, the metal heads and fans are dedicated all over the world the same way and support their beloved bands alike. I love asking all bands this question. Tell us a funny or crazy fan story. years ago, in Canada a girl went to the merch table to give us her CD with cover songs of Cosmogenesis where she added opera sung vocals over the final masters – additionally to our progressive death metal. We listened to the material in the bus to the next venue and didn’t understand the whole idea but have been consternated the same way. We played hundreds of concerts and there is not “that” one memorable show I remember. A few tours have been extraordinary great, like the first Japanese run in 2010 with Steve DiGiorgio playing with us on bass, the first European tour in 2006, our long runs in North America as well as 70000 Tons of Metal – a festival in the Caribbean sea. Are you all excited on the release of your new album? How long did it take to make the album? The album was written within two years and recorded in three months straight at Woodshed Studios, Germany, where we record our material since 16 years with the same engineer, V.Santura. Of course, we are excited to release the new album. The album is part #4 of a four-album concept and deals with an overall concept, ending with the ultimate end of all ends. Musically speaking, “Diluvium” shows the more progressive side of the band and contains the most high-end production the band released up to this date. The album is available through Relapse Records since 13th of July. Any new videos to follow up the album release? Yes, we just released “Mortification of the Vulgar Sun” upon release of Diluvium and another clip will follow quite soon aside from some live material. I would pick three songs; Clandestine Stars, Emergent Evolution and An Epilogue to Infinity. What are you all currently listening to? 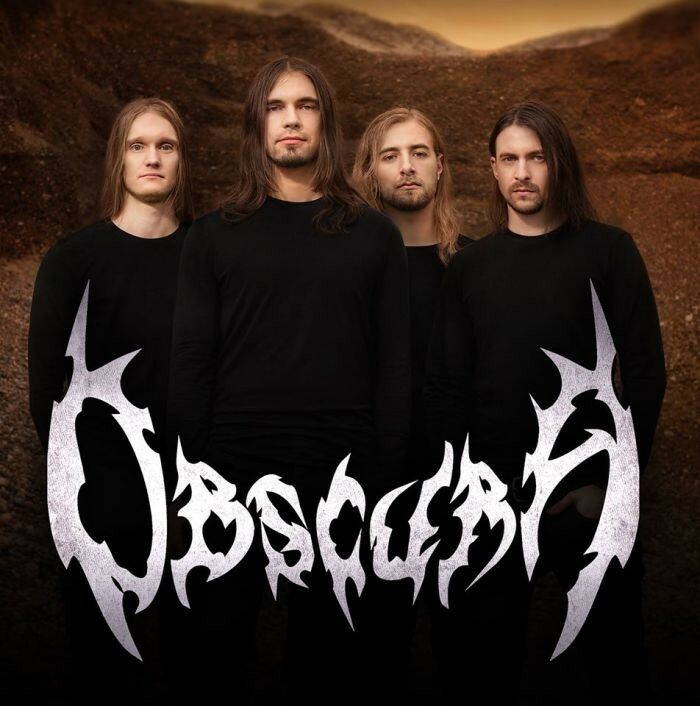 What bands were you previously in before Obscura? None – Obscura is my first band. Who writes the music? And do you have a routine and process when writing? We all write as a band and therefore we work with different methods to finish all compositions. I do not have musical idols in that sense. The reason back in 2016 to pick up a guitar was basically Death and Chuck Schuldiner I respect as musician, but I don’t idolize anyone. What can we look forward to from Obscura? We just released our 5th record and start touring the world in support of Diluvium before we hit the studio to record something new.